DJ Bu, James Brown, Gloria Hardiman, Frankie Beverly&apos;s raw soul, Hank Ballard and more. DJ Bu spinning the very best funk, soul, R&B tracks for Funk Soul Power Internet Radio station. 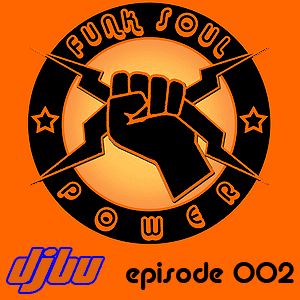 Funk Soul Power episode 001 features funk and soul maestros from James Brown to Leona Lewis, Millie Jackson, War, Miami & Robert Moore, Ruth McFadden, The Isley Brothers, Parliament, Stevie Wonder and a plethora of other greats of funk, soul, Rhythm and Blues.